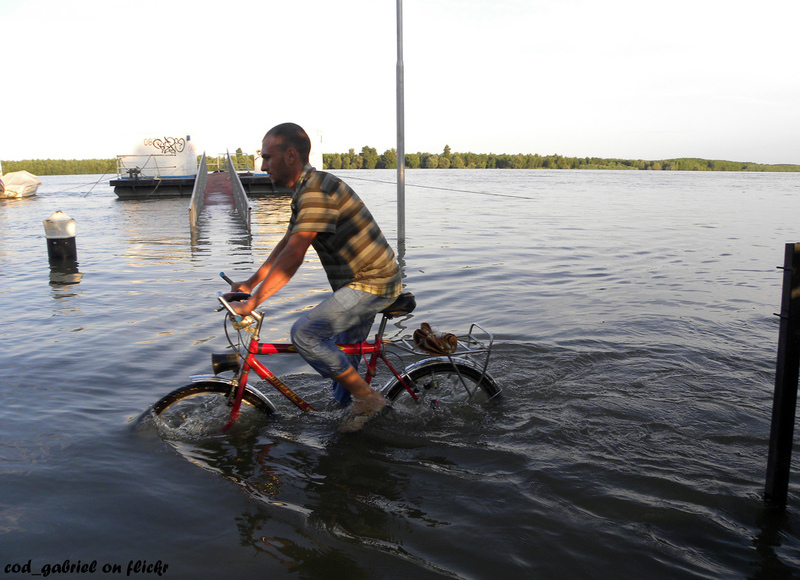 How can Europe cope with multiple disaster risks? In a new study, IIASA Risk, Policy, and Vulnerability Program researcher Nadejda Komendantova and colleagues from Germany and Switzerland examined how natural hazards and risks assessments can be incorporated into decision-making processes in Europe on mitigation of multiple risks. Why did you decide to conduct this study? European decision makers currently have a number of methods that they can use to assess natural hazards and risks and apply to the decision-making process. These methods include risk and hazard assessments, probabilistic scenarios, and socio-economic and engineering models. The variety of tools is enormous and volume of knowledge and data is growing. However, the process of communication between science and practice leaves a lot of open questions for research. Researchers have developed a few tools to provide multiple risk assessment of a given territory. But even though these models have been tested by operational and practicing stakeholders, there is limited information about how useful the models are for civil protection stakeholders to use in practice. In order to communicate results from science to practice and make it possible for decision-makers to use such tools, it helps to involve decision-makers in the development process. Participatory modeling, which is an important part of risk governance, allows us to not only to take into consideration the facts, but also values and judgments that decision-makers bring to their actions. What questions did you aim to answer in your study? The decision-making process becomes even more complex when we talk about situations with multiple risks – multi-risks – which involve interactions between several risks. How will decision-maker will prioritize their actions on risk mitigation or on resources allocation when facing not single but multiple risks? We also wanted to find out if the tools developed by science such as decision support models could be suitable for these tasks. Another question is if there are differences in perceptions of the usability of decision-support tools between different stakeholders, such as academia (based on more theoretical considerations) and civil protection (based on practice). What are the multiple risks or hazards that face Europe? Across Europe, people suffer losses not just from single hazards, but also from multiple events in combination. The most important hazards for Europe are earthquakes, landslides, volcanic eruptions, tsunamis, wildfires, winter storms, and floods along both rivers and coastlines. To answer our research questions we collected feedback from civil protection stakeholders on existing risk and hazard assessment tools as well as on the generic multi-risk framework to understand interrelations between different risks, such as conjoint and cascade effects. The new study was based on a method developed by Arnaud Mignan at ETH Zürich, with a decision-support tool developed by Bijan Khazai at the Karlsruhe Institute of Technology. Through a participatory approach, the decision-support tool allowed stakeholders to assign relative importance to the losses for different sectors for each of the scenarios likely to occur in the region. We collected data through questionnaires on existing risk assessment tools in Europe and their implementation. Then, using the new framework, we conducted focus group discussions in Bonn and Lisbon, and decision-making experiments applying the developed tools. Afterwards we had a chance to collect feedback from stakeholders. The study showed that general standards for multi-risk assessment are still missing—there are different terminologies and different methodologies related to data collection, monitoring, and output. According to stakeholders from practice, this variety of data, assessment methods, tools and terminology might be a barrier for implementation of the multi-risk approach. The study also found a sharp divide in understanding of the usability of the tools and areas for their application. Academic stakeholders saw the risk-assessment tools as being useful to understand loss and communication of multi-risk parameters. The stakeholders from practice instead saw the tool as more useful for training and educational purposes as well as to raise awareness about possible multi-risk scenarios. What should be done to help decision-makers make better decisions? The study made it clear that we need to work on training and education, both for policymakers and the public. The models we have developed could be useful for educating stakeholders about the usefulness of a multi-risk approach, and to disseminate these results to the general public. It was recommended to use the tools during special training workshops organized for decision-makers on multi-risk mitigation to see possible consequences of a multi-hazard situation for their region. Participatory modeling, involving cooperation between scientists and decision-makers from practice, could not only improve communication processes between science and policy. In addition, decision-support models can become a part of dialogue to help to avoid judgment biases and systematic errors in decision-making and to help in complex decision-making process grounded on human rationality and judgment biases.